Are you open to change? Are you aware of how much change your organisation is facing in the future? The simple truth is that business environments are under constant change, becoming more complex, volatile, and unpredictable day-by-day. Having the ability to prepare and plan for change and not just adapt to it is the only way one can survive in both business and in life. Yet countless studies tell us how difficult it is for individuals and organizations to change. Why? Because change creates an identity crisis which threatens our self-esteem, our sense of financial security and our belief systems. 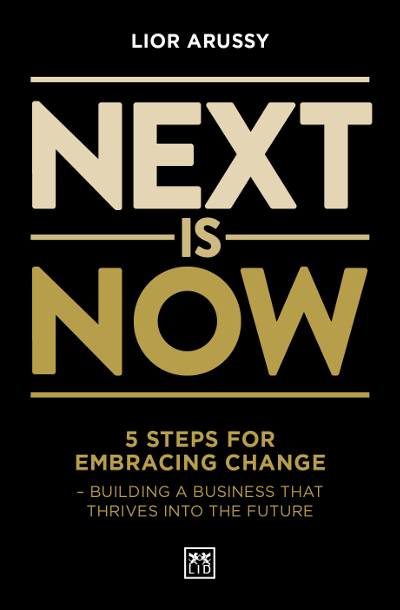 In this book, author Lior Arussy explores the reasons why we resist change and how to develop a new competence; change resilience. The book provides a step-by-step guide to help us approach change from a point of strength. Through vivid examples involving organizations ranging from Mercedes-Benz, Disney, Kia, Kennedy Center, Zappos, and other Fortune 500 companies, Arussy presents his proven methodology to improve `change resilience’ and help leaders and their employees embrace change with passion and excitement for business success. Lior Arussy serves as CEO and President of the Strativity Group. He is one of the world’s authorities on customer experience, culture design, customer centricity and transformation. He is the author of six books including Exceptionalize it! (2015) and Customer Experience Strategy (2010). In addition, he has published over 250 articles in publications including the Harvard Business Review.